Are you facing any type of financial inconvenience in Ontario? Need a loan to fix the issues as quickly as possible? At Canada Loan Shop, we strive to give the best service to all of our clients and put your needs first! 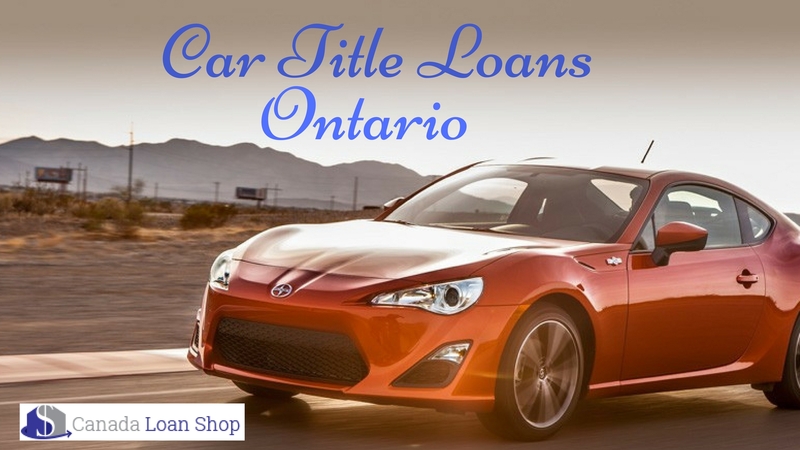 You can apply for Car Title Loans Ontario and we can help you out with the maximum cash as per your need! Is your credit Good or Bad? The answer to us doesn’t matter! We understand your situation and will approve just about anyone with sufficient collateral. You can use your car title to get approved for the cash you need. The borrower must have a fully owned car with a lien-free title, a valid Canadian driver’s license, and proof of permanent residency. Canada Loan Shop can provide you an amount up to $,65,000 without any credit check and job verification. You can get funded instantly for Auto Title Loans Ontario with the most minimal requirements and the simple loan process. We have the flexible repayment terms, with no early payment penalties, low-interest rates and best of all you can keep driving your car. Your loan amount is based on the value and condition of your vehicle; not on your credit. Call us and get our fast, easy and convenient car title loans can get you the cash you want today! Address: 3980 Shelbourne St, Saanich, Victoria -V8N 6J1, Canada.